As a mom of three energetic babies, it was easy for me to dive head first into a business that I have a deep, personal connection with. Having my own parents and extended family living across the pond in England means that I truly understand the daunting task of finding a professional sitter that you can completely trust your child with. It took me many years before I was able to leave my kids with anyone and even then it wasn’t for long periods of time. This is why it is important for me to make sure that every babysitter at Bay Area Sitters is first and foremost someone that I would completely trust my own precious children with. As grown-ups we all need a break from time to time (especially to enjoy all that the Bay Area has to offer!) and it is my personal goal to make that a stress-free, comfortable and happy experience, not only for you but more importantly for the little treasures in your life. 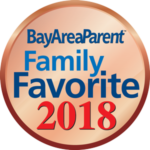 Thank you for taking the time to consider Bay Area Sitters for your family’s needs.